Jubilee Rhinestones and Jubilee Fabric finally have a place to call their own! 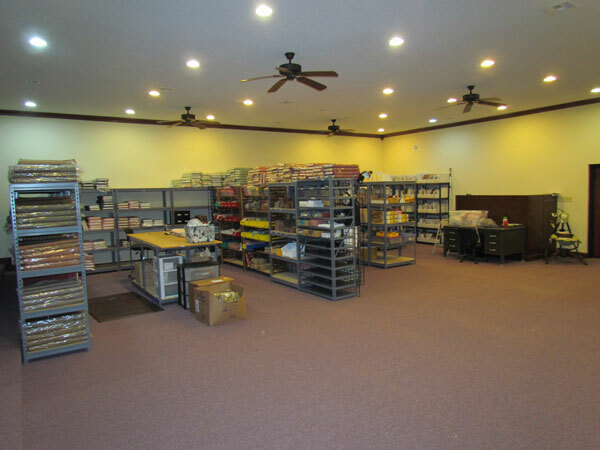 After years of bumping elbows in too-close quarters we finally have a large enough space to accommodate fabric, rhinestones, shipping, and employees with room to expand. But moving a business is hard work! We had to call in reinforcements (a.k.a. every family member within a 20 mile radius!) to get the job done. 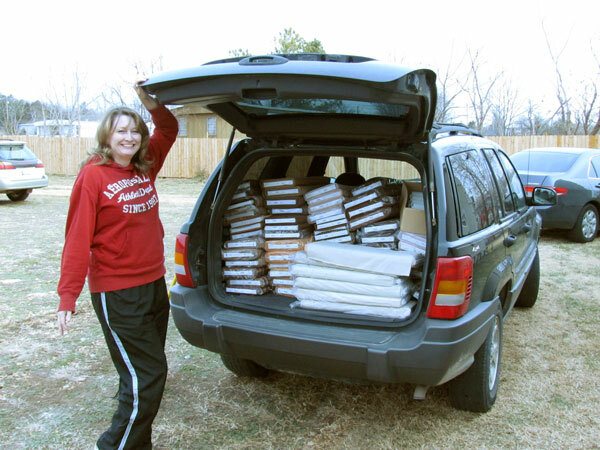 Carrying boxes of rhinestones to the cars waiting outside. Gayla kept everyone organized and in line. She also took all the pictures while supervising the move. Vehicle #1 ready to take these rhinestones to their new home! 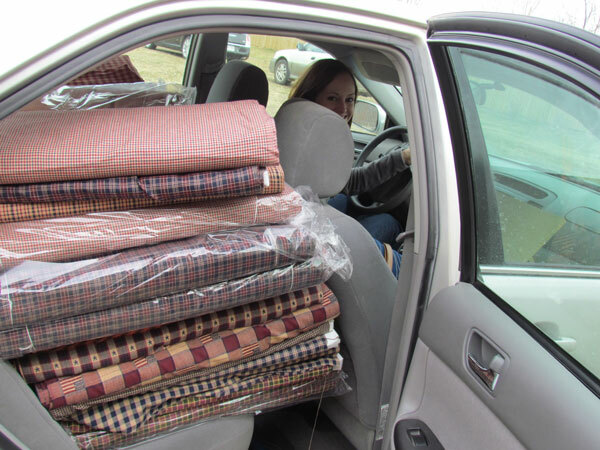 First vehicle of fabric loaded up and ready to go! 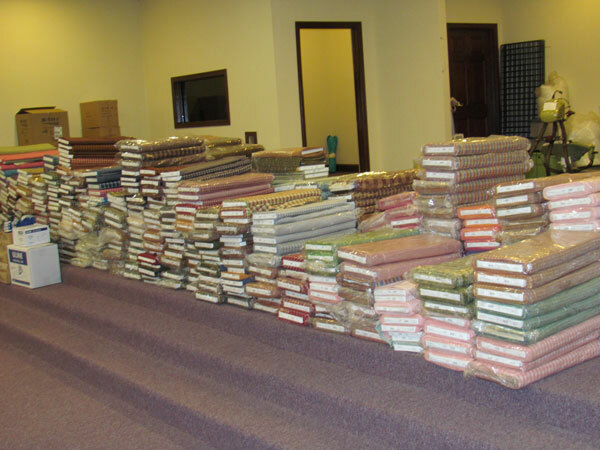 Many, many, many carloads of fabric to move. Say HI, Amanda!! Unpacking and organizing all the rhinestone transfers in the new place. FABRIC!!! Waiting on the moving company to deliver the metal shelving. 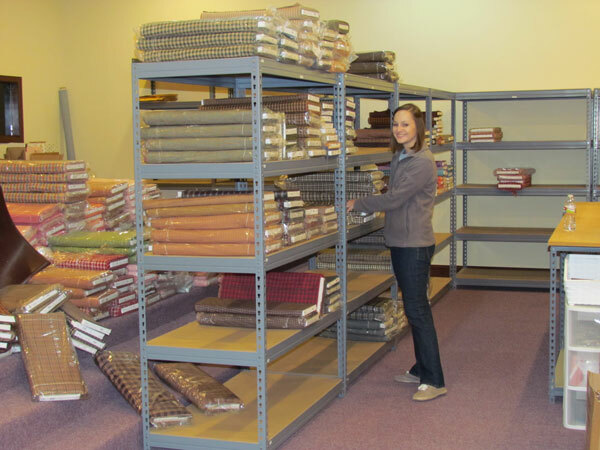 Amanda putting each bolt of homespun fabric in its proper place. Look at all that space!! Our IT Department (or "Bryan," as we like to call him) setting up Internet and WiFi. And DONE! 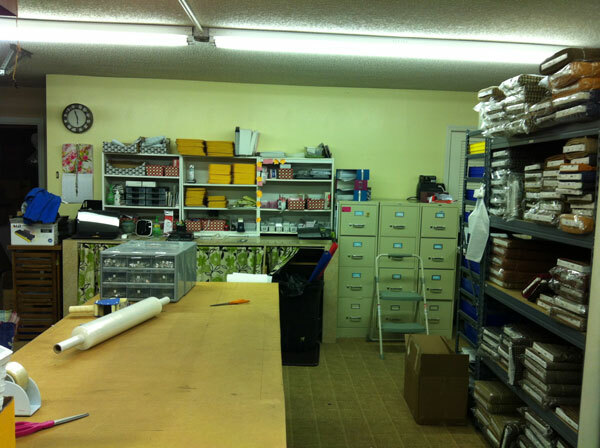 Ready to fill all your rhinestone and fabric orders from a much more comfortable space! 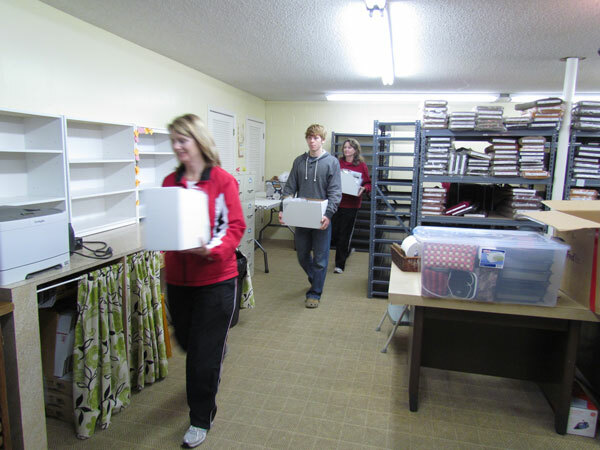 A big THANK YOU to all the friends and family who spent part of their Christmas vacation helping us move. And another big THANK YOU to our customers for understanding our delayed shipping and customer service as we celebrated Christmas and moved to our new Studio!! We’re very excited about this move and hope to be able to meet our customers’ needs more efficiently now that we won’t be bumping into each other every time we leave our desks! HAPPY NEW YEAR FROM JUBILEE CREATIVE STUDIO!! Best Wishes in your new home!! Congrates on the move. Your products are Great! Congratulations on your new studio space! Very nice! Take Care and God Bless! Congratulations on completing the move into your beautiful new space! I even recognized some of “my” fabric in one of the vans. : ) I’m looking forward to ordering lots more from you in the coming years. Keep up the great work! I look forward to the coming day when I get my material! I called before Christmas with some questions-I have never ordered from ya’ll. I was surprised to discover that you aren’t that far from me. When I recover from Christmas I will get my material and I look forward to it. YAY!! So happy for you! God bless you even more in 2013!! Congratulations on your new digs! I have become such a huge fan of Jubilee Rhinestones over the last few months…I just love knowing that you’ve got more space for more stuff!!! Yay! God has blessed you, I pray that He continues to do so as you spread His love one sparkly jewel at a time.